C’mon, LET’S MAKE SOME ART!!! There’s two collaborative art-making projects going on at the festival this year. The “official” project is an Art in the Park Mural generously sponsored by the Medicine Shoppe on 33rd and facilitated by SCYAP. 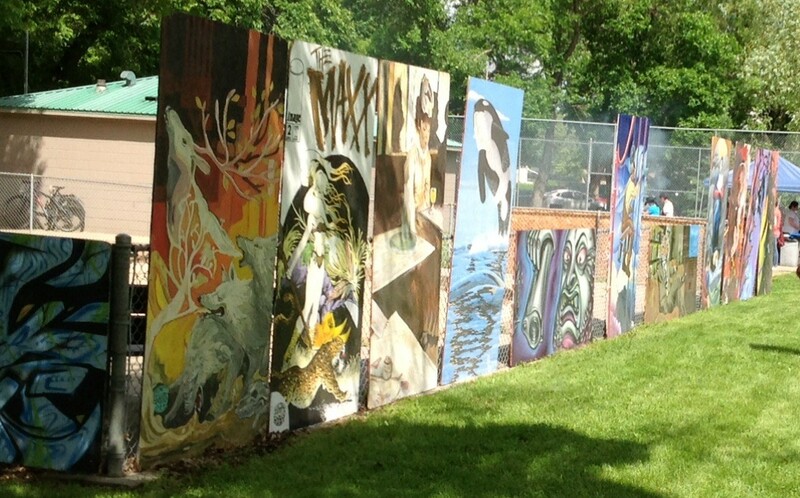 Everyone is invited join SCYAP facilitators and take part in creating an Art in the Park mural similar to SCYAP’s beloved large art boards (above) featured each year at the festival! Be sure to get in on it! —Next year our art board will be on display with the others. Legendary!! !